My Wife’s Request For Fresh Feta. I have often mentioned that my wife is not a big fan of cheese, so when she made a specific request for cheese, I was determined to make sure I made it with care and attention. Especially when she requested Feta. She likes fresh Feta, not too salty and without brine. So off to the store I went to get some local Goat Milk and got to work. 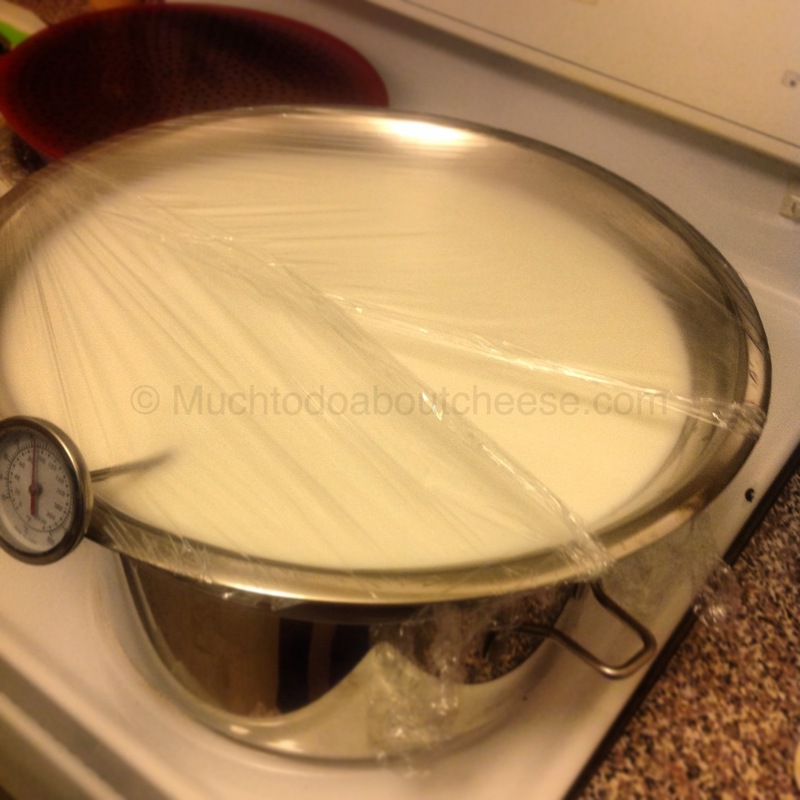 With my 4 litres of Goat’s Milk I started making Feta. I used a large stainless steel bowl to hold the milk. 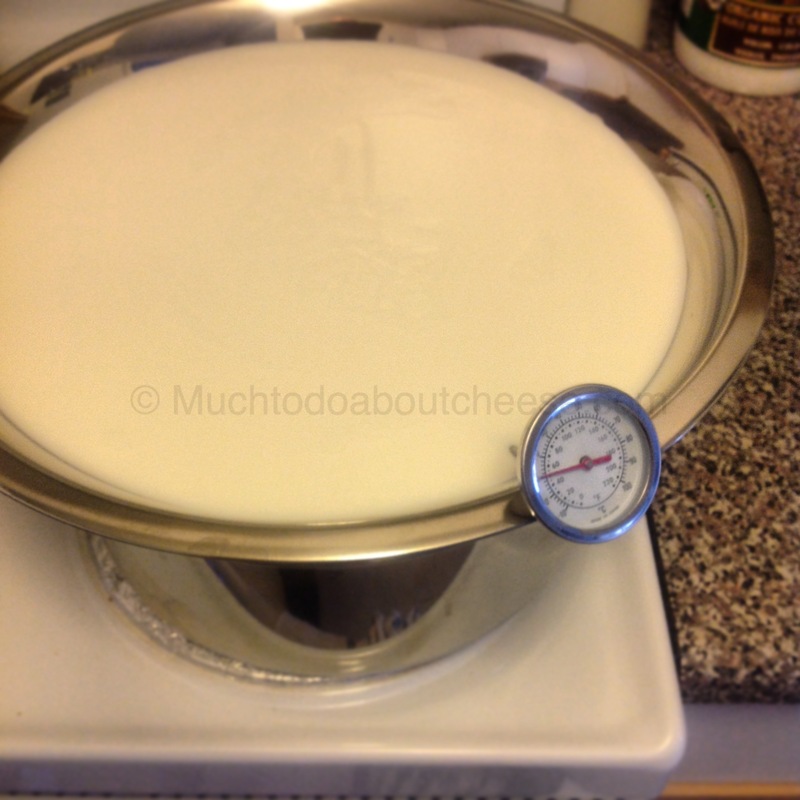 The bowl worked well and I was able to heat the milk evenly, but I was concerned about how I would cover the bowl when it was time to ripen and set the curd. I used plastic wrap to keep in the heat. The wrap seemed to work during ripening and I hoped it would work during the rennetting. I adjusted the plastic wrap to allow for some heat to escape, and it worked like a charm! 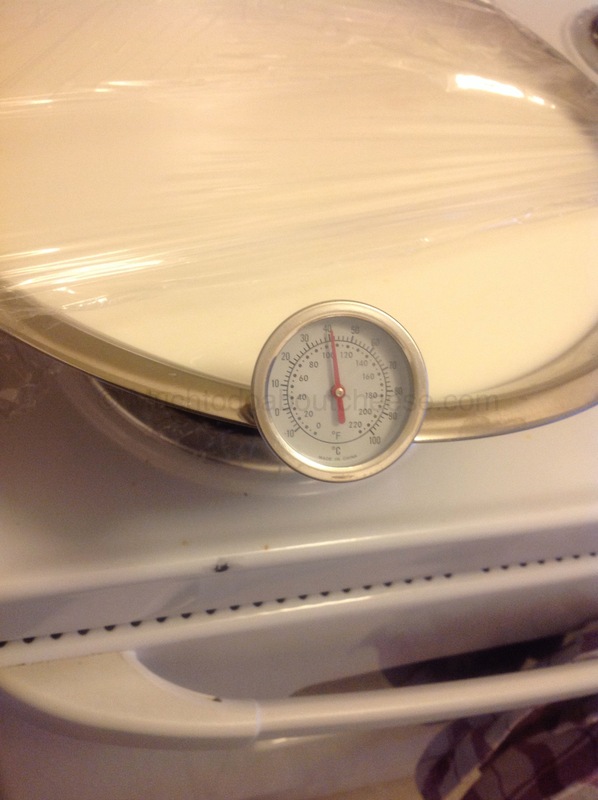 I was happy with the curd strength and the clean break. It was time to cut the curd. The curd was perfect, it reminded me of my first visit to Smoky Valley Artisan Cheese, we made Feta then too. After working the curd it was time to drain it. I have been the caretaker of my friend Addie’s basket mould while he is in India, it was a perfect opportunity to use it. 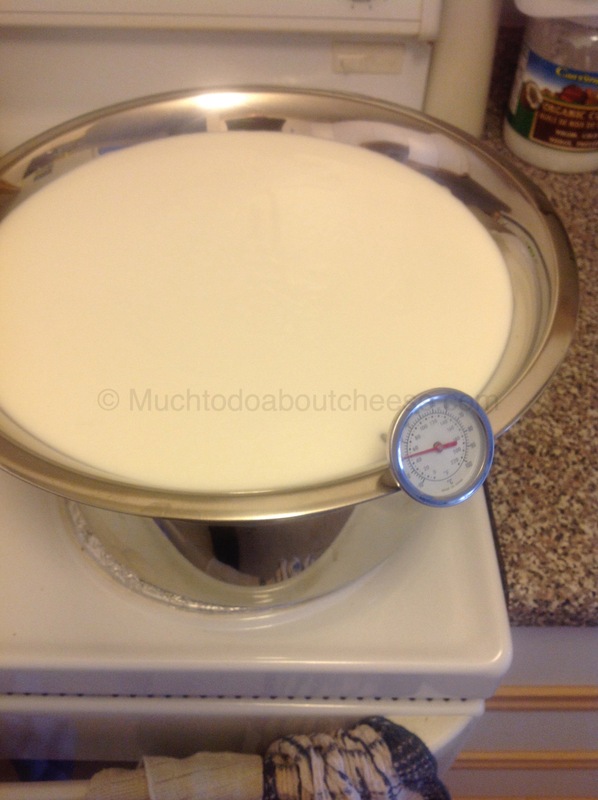 I inverted a bowl in the main draining bowl so I could let it drain longer and not worry about flooding the cheese. 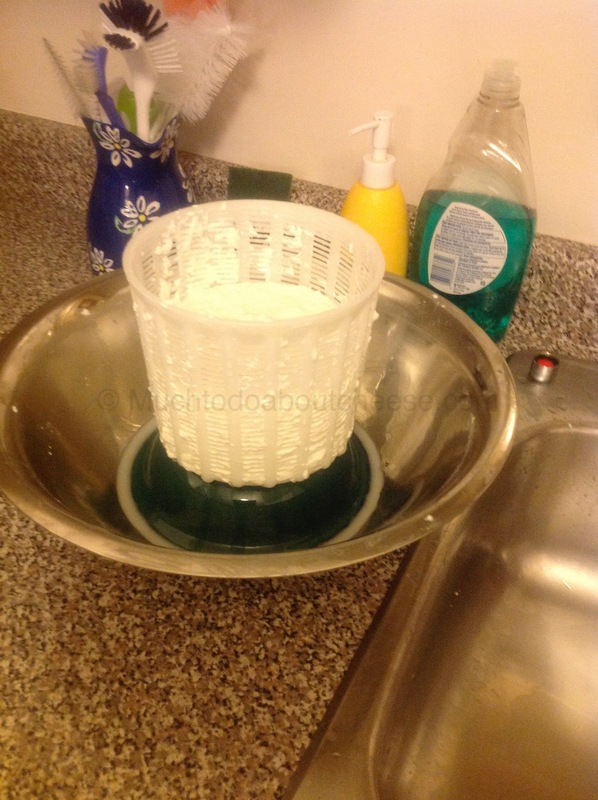 I know that my wife likes a creamier Feta so I decided that I would drain and flip the cheese. I would not press it. 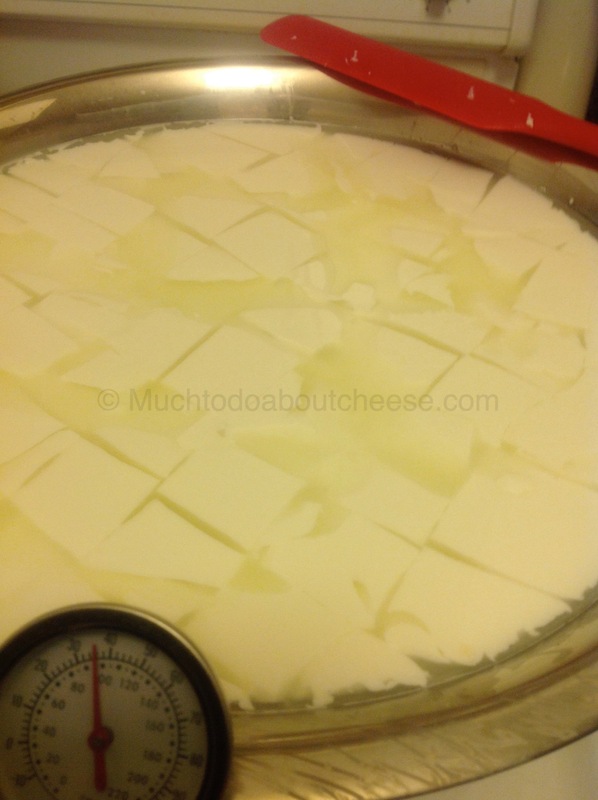 After almost 24 hours of draining the cheese was the right texture and just firm enough for my liking. Both my wife and I don’t like overly salty Feta, which you tend to get with some of the commercial ones on the market. 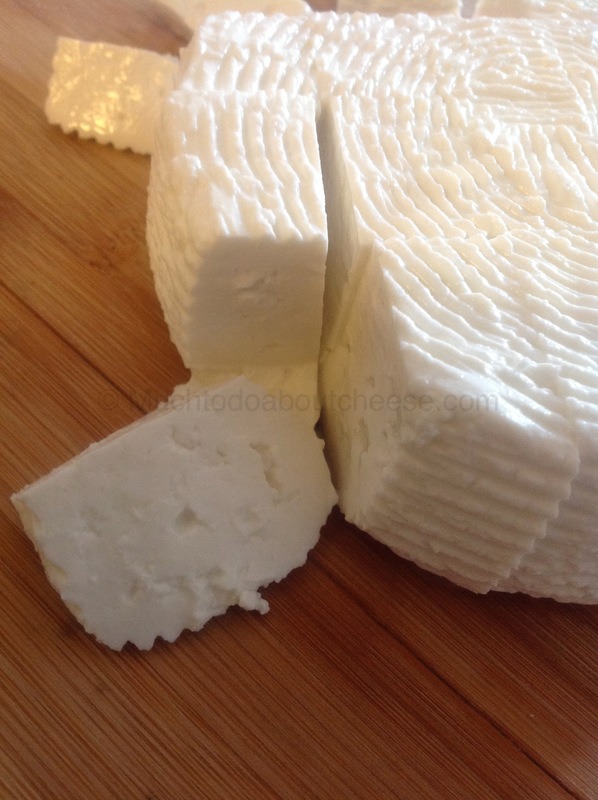 To counter this and keep with the fresh Feta texture and taste, I dry salted the cubed Feta. I sprinkled 2 teaspoons of sea salt over the curds and let them “drain” again on a cheese mat on a cutting board for the day. I flipped them every couple of hours and wiped up the excess liquid/brine that was created. When the flavour was where we wanted, I patted the cubes dry and put them into an air-tight container in the fridge. I regret to say that I don’t have any pictures of the finished product as it was used up quickly in salads and omelettes. Flavour wise it was great, goaty without being barnyard, salty without being a salt lick. I will definitely make more Feta in the future. ← It Was A Grey and Dreary Day, But We Had Cheese! 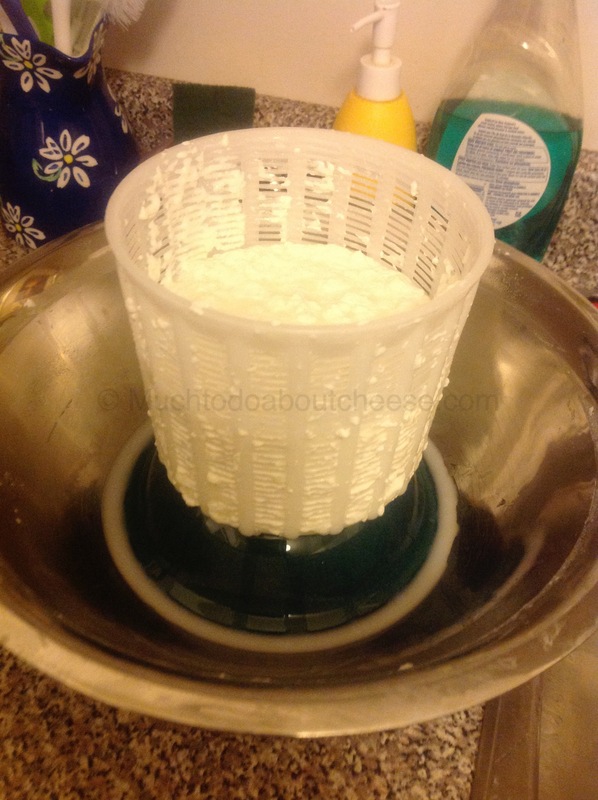 As a big feta lover, this makes me want to try my hand at making cheese! It is worth it, but build up to Feta. I dove head first into cheese without making the “beginner” cheeses and ended up with hockey pucks for the first few cheeses. This looks awesome. Have you tried soaking other peoples salty feta? Ten minutes soaking in milk or water make an amazing difference. You still get a nice saltiness but the brine flavour disappears. I have and I wasn’t pleased with the results, it did something to the texture. It could be that the Feta was not “right” in the first place. I did take some salty feta and marinade it in olive oil for a few months and it seemed to mellow.